Acne is a prevalent skin condition that occurs all over the world. Often misunderstood, acne is a skin condition that develops early (in the teenage years) for several people. It is caused by hormones that act upon the sebaceous or oil glands on the skin. Sebaceous glands buried under our skin make sebum (oil) that reaches the surface of the skin through hair particles or follicles. This oil lives comfortably with cells present on the skin. However, when dead skin cells, dirt, and other impurities get mixed with the oil, the pores get clogged and cause acne. Many adolescents and adults with hormonal imbalances get acne due to the imbalance in the hormones present in the body. These hormones affect the oil secretion qualities of the skin, prevent fresh skin cells from forming healthy skin, and ultimately cause a series of breakouts called acne. Accumulated dead skin cells, oil, and other impurities together allow harmful bacteria to flourish and lead to painful, infection and pus-filled boils on the skin. You can try using an acne face wash but there are many things you can change in your life to better your acne. Also consider products you’re using on your skin, tanning lotion or outdoor tanning lotion can block pores and lead to sebum build up. It is no secret that everyone gets affected by acne at least once in their lifetimes. However, it is interesting to note that there are several reasons why some people are more prone to acne than others. Let us look at some of these reasons. As mentioned earlier, hormones are one of the most important causes of acne. Hormonal imbalances in adolescents, young adults, and adults are cited as primary reasons for acne breakouts on the face, chin, neck, arms, shoulder, and back. Many times, acne tends to decrease on its own as the hormones come under control naturally. However, in several cases, it tends to stay on. Hormonal imbalance is more common in men than women since hormones produced in women (by ovaries and adrenal glands) are monitored by their monthly menstrual cycles. Similarly, if women have an excess of testosterone and androgen in their systems (male hormones), they may also get acne for extended periods of time. Another cause for pimples, breakouts, and acne is polycystic ovarian syndrome or PCOS that affects a majority of women. Women with PCOS have higher amounts of androgen than estrogen and progesterone in their bodies. This imbalance prohibits the ovaries from releasing eggs and instead cause small cysts to form in the ovaries. 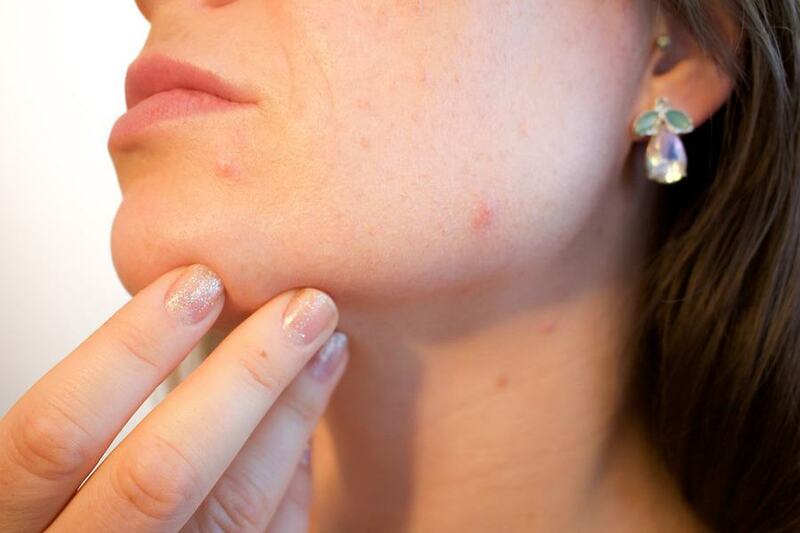 These cysts cause fluctuations in the menstrual cycle and cause severe lifelong acne. Hormones can also be imbalanced by a lack of sleep, try getting a great duvet set, a good mattress topper and a preferential pillow like a pillow for side sleepers to get a good nights sleep. There are many other things that can help you sleep, if you have too much ambient noise or lights you might want to try a sleeping mask or ear plugs. Genetics play the most significant role in deciding our internal makeup. They also help in determining who will or won’t get acne and other related skin conditions. There is an excellent possibility, that if either of your parents, siblings, or first cousins have acne, then you might develop it sooner than later. Genetics also play an essential part in determining the thickness or softness of the skin, how oil gets secreted, and how hormones may affect the sensitivity of the skin. It also helps in identifying the resistance or yielding of the skin to harmful bacteria that cause acne. Hereditary diseases, hormonal imbalances, quality and texture of the skin, allergies and so on are all conditions that are dependent on genetics. These afflictions and conditions further influence the acne and pimple growth on the skin. While there are a host of other factors that determine the causes for acne, genetics plays a crucial role. Genetics and hormones are essential influencers for acne, but foods also play a significant role. Poor nutrition deprives the skin of the ability to fight off infections and bacteria. This condition makes the skin very susceptible to acne breakouts and pimples. If you have acne prone skin or oily skin, several foods can help and many more that can harm. In general, it is a good idea to avoid greasy and fatty foods to control the oil secretion in the body and also the excess cholesterol buildup. Excessive intake of oily and fatty foods can result in severe breakouts on the skin. Stick to foods that are high in nutrition and water content like watermelon, oranges, apples, and so on. Foods that are rich in sugar and starch may also cause issues with the skin and result in acne. Avoid foods that are processed and canned, contain external sugar, crackers, cookies, and chips. Also avoid foods too high in carbohydrates like potatoes, pasta, and bread. If not wholly unavoidable, reduce them to once or twice a month. Making dietary changes will help reduce and eventually eliminate all traces of acne and breakouts on the skin. Other things can include exercise, sweating opens up and cleans out your pores reducing those stubborn blackheads. Try getting a home rowing machine or a sit-up bench if you don’t feel comfortable visiting the gym.